Video surveillance cameras are generating data at an astonishing rate. By 2020, “video surveillance data is expected to reach approximately 3.3 trillion hours globally,” according to Security Today. And with new video analytics software, this data can be endlessly analyzed for countless purposes, including facial recognition, anomaly detection, and instant event search. It might come as a surprise then, that “54 percent of federal video surveillance data goes unanalyzed,” according to a study by EMC Corp. The study surveyed 151 federal decision makers about video surveillance technology, with an even spilt between physical security and IT managers. With all this data going unanalyzed, it’s evident that great intra-agency collaboration is needed. Without it, critical data is essentially going to waste. Below are a few of the video surveillance strategy trends that surveyed decision makers noted in the study. Greater collaboration is just one of the video surveillance strategies the feds need to implement, according to a new study. The study revealed that a disconnect between physical security and IT managers may be responsible for the lack of video data analysis. 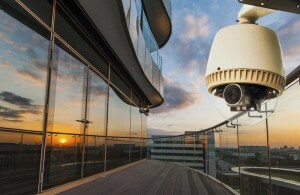 “76 percent of physical security managers vs. 33 percent of IT managers believe the responsibility [of managing their agency’s video surveillance infrastructure] is shared between the two departments.” Reconciling these differences is key to moving forward with improved video surveillance strategies. The huge quantity of video surveillance data being produced requires an advanced infrastructure to handle it. However, the vast majority of agency decision-makers felt that their current infrastructures were unable to handle this volume of data. “Over the next five years, 91 percent believe storage needs to increase, 89 percent believe computing power needs to increase, and 84 percent believe personnel needs to increase, in order to adapt and handle the oncoming growth,” says Security Today. This entry was posted on Thursday, May 28th, 2015 at 1:20 pm. Both comments and pings are currently closed.